On the verge of being merged with the Indian Super League (ISL), the I-League is having one of its best seasons since last year, when Mohun Bagan narrowly pipped Bengaluru FC to the title in a final day finish. This time around, it's the Leicester City FC of India, Aizawl FC, that is on the verge of topping the kings of Indian football. Aizawl FC beat Mohun Bagan 1-0 at the Rajiv Gandhi Stadium, taking them within one point of being I-League champions. The faithful crowd of 11,000-plus (sold out stadium capacity, plus those standing on the hillocks) witnessed a victory in close to zero visibility, with rain and mist through most of the match. Aizawl finally made their breakthrough when defender Zohmingliana Ralte rose ahead of Bagan goalkeeper Debjit Majumder and headed the ball in from a corner kick, sending the crowd into a frenzy. This victory means Aizawl FC are in pole position to clinch the title next weekend when they take on Shillong Lajong. 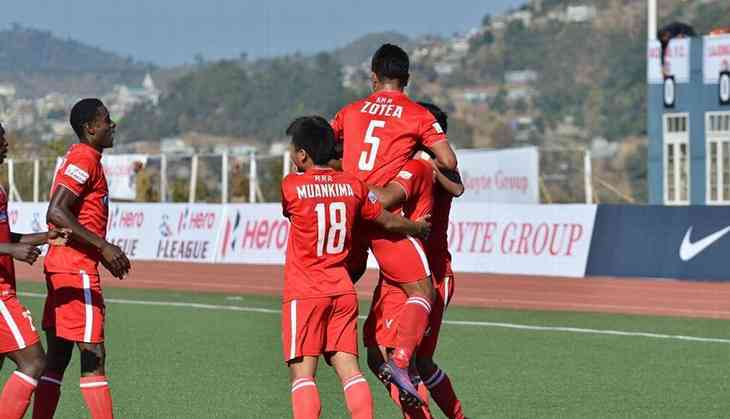 Anything but a loss will be enough for Aizawl to become the first team from the North East to lift the I-League title. Only a catastrophic last day can now derail Aizawl, an unlikely event given their stellar performances so far. Formed in 1984, it took until 2012 for them to become a professional club. In that year, a certain Mr Robert Romawia Royte took over the club. During the 2015-2016 season, Aizawl won the I-League 2nd Division and earned entry into India's top league as the first ever representatives from the North East. 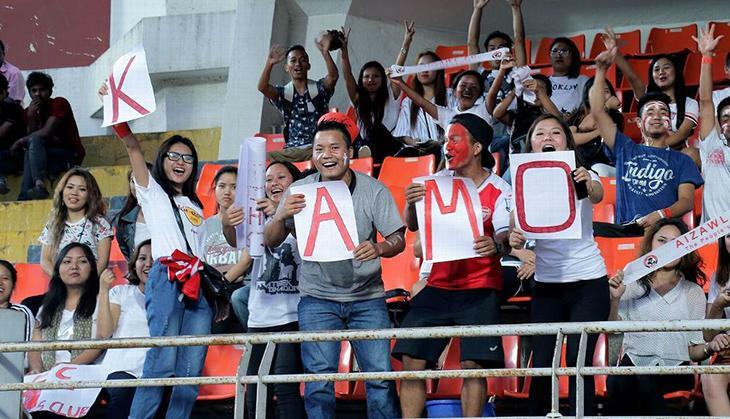 In their debut season last time around, Aizawl FC were relegated to the second tier of Indian football. This, despite not finishing last. This was because another club, DSK Shivajians from Pune, enjoyed a three-year immunity as they came through AIFF's corporate quota. However, despite this, they finished runners-up in the Federation Cup. An admirable performance that came shortly after the I-League heartbreak. However, in September 2016, Aizawl got a new lease of life as AIFF reinstated them for their “heart-warming performance”. Before the start of the 2017 season, Aizawl FC hired former Indian national team player Khalid Jamil. Before the start of the 2017 season, Aizawl FC hired former Indian national team player Khalid Jamil. Running on one of the lowest budgets in the league, the team from the North East have performed beyond expectations this season. They constantly defeated bigger opponents in their home matches and played admirably in away matches. Significantly, Aizawl has used only 21 players this season. Four of them are foreigners, three from other states and the rest from Mizoram. Will the fairytale end here? With the looming merger of I-League and ISL upon us, will Aizawl FC be relegated to the second tier of Indian football once again? Indians across the country are hoping that AIFF doesn't merge the two leagues. This would mean that the top-tier - all ISL teams + Mohun Bagan, East Bengal and Bengaluru FC - will play in a league comprising of no promotion and relegation. The second division will comprise of the rest of the I-League teams. If the merger happens, Aizawl will have gone from relegation to potential champions and back to being relegated once again. They won't have a shot at winning the I-League title again until at least 2024, thanks to the I-League’s 10-year run. For now, though, all Indians should bask in the glory of the North East and Aizawl FC, because it may be many, many years before we see this kind of fairytale in the top tier of Indian football again.